Let's face it, we've been in the Nail Art industry for a long time now. We are going to tell you why we are here now, specialising in nail water decals. For years we sourced amazing items from all over the world to sell in Australia, and it was great. We still sell many of these items - However now we also make a lot of our own products. So one Christmas, we were waiting on a shipment of Christmas nail decals - that was delayed....everyone was wanting to get the Christmas nail art prepared and we couldn't help. One of our staff members suggested "Why don't we make our own? We can always have them on demand and supply everyone with what they want when they want it." That's where the journey began. We went on a major endeavour to figure out what we needed to make our own decals in mass production, and not just any decals. Supreme quality designer decals that were different from the mainstream ideas. We figured it all out - with about 2 weeks left until Christmas! There was a mad rush to get everyone their christmas nail art on time so we worked hard, and we succeeded. Now we have an amazing array of decals for all types of occasions, From Australia Day to Zentangle and all the Halloween and Fantasy in-between. Over 500 designs, 95% of which are made right here in Australia. We still sell some popular designs from our suppliers (but we have a soft spot for our own). We are constantly sourcing current trends and creating designer nail art to help you create the look you want. All our products go through intense testing and we engage in feedback with our customers to make sure we always deliver Premium Quality Nail Art. Our products are not just for individuals either, Salons have been buying from us for years and with good reason - If you have something different and in demand then you will stand out from the crowd. 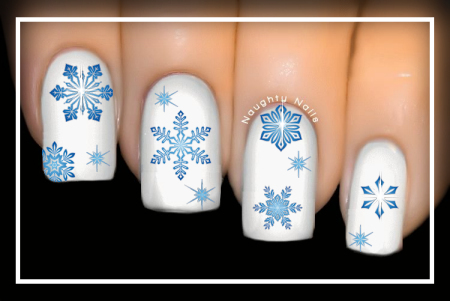 At Naughty Nails Australia, we will help you, your clients and your nails shine.